Here is a gift idea for dads trying to make all those subtle changes to our lives that conserve energy. By now, everyone has heard that a lot of energy is wasted on all those devices that sit drinking up juice while in “stand-by” mode. This power strip allows you to really turn off six of its eight outlets using a tiny remote control (you can glue it to the wall – I think it’s mostly there to save you the energy of bending down to the wall outlet). Two plugs are left unswitched so you can keep the DVR or VCR (does anyone have those now?) on while you’re out or away. 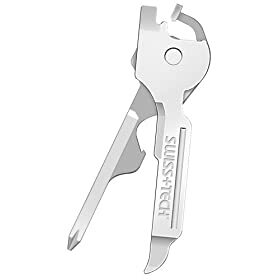 We love the Swiss Tech key tool. It folds into a key-like object that fits unobtrusively on a key ring. It doesn’t take any space, looks just like a key, and yet has so many features that any boy scout, pre-adolescent or middle-aged will be pleased. In a small space, you have a Phillips and regular screwdriver, a bottle opener, a knife, and a file. Sure, you wouldn’t want to use these tools to renovate your kitchen, but like any pocket knife, all that stuff comes in handy often enough to be glad you’ve got it. My wife and I both have one and never travel without it. In polished stainless steel. A bit pricey at $19.99, but worth every penny. If you have a daughter, it’s hard not to get a little emotional reading this collection of anecdotes compiled by Gregory Lang (author of more pithy books like “Why a daughter Needs a Dad: 100 reasons”). This is not a “deep” book, but it does get at a lot of important truths about the importance of a father to little (and big) girls. Sometimes, that’s also what dads need to give an extra push to their efforts. We all need to know that all those hours pushing swings and replacing toy batteries are the foundation of an enduring relationship that doesn’t end suddenly at adolescence. There has been plenty of research that shows this to be true, but Mr. Lang, in this compilation of his own and others’ stories relates how this plays out in different ways. For the dad of a young girl, it also gives a not-always-comfortable (read morbid) look into the future when kids are grown up and dad is looking at what he’s leaving behind as a legacy rather than what he is building in the here and now. From the New York Times store, this unique, made-to-order jigsaw puzzle features a map that centers on your home. The map, an extract from the renowned U.S. Geological Survey, has fascinating details and provides names of main roads, contour lines, transport infrastructure, water features, vegetation, and shows notable buildings/structures. Personalized for $44.95. Permission to buy a video game console. 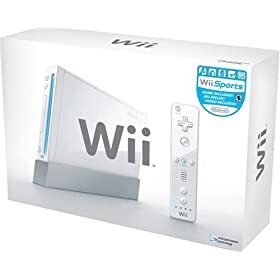 It now seems universally permissible to add a Wii to the family entertainment options. Either dad already has one or he’s waiting for you to say it’s okay to let one in the house. Now with the addition of Wii Fit, even moms can rationalize getting in a round of Mario Tennis before dinner. Unfortunately, if you don’t have a strategy, it’s still impossible to walk into a store and buy one of these. You’ll either have to scope out deliveries at your local electronics store or plan to pay $100 over the MSRP to buy one online. We have found no other real options. 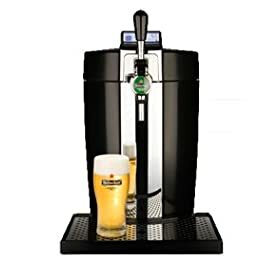 For the beer lover, the Krups BeerTender, a countertop “kegerator” for the 5 liter minikegs of Heineken beer is just perfect to give you the perfect pour every time. The tap keeps the beer at 39 degrees Fahrenheit. Some models come with a 30-days freshness countdown counter. Attention: meant only to be used with Heineken mini-kegs. Time to get a new family digital camera. 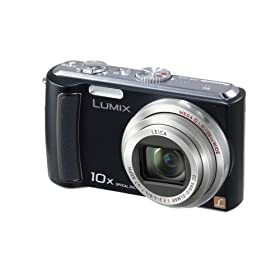 We’ve had great luck with our little Panasonic Lumix D9 with its Leica lens. Now Panasonic has a new model that shoots at 9MP (far more than mortals actually need), but also sports HD output. The optical stabilization is top notch and it has a 10X zoom. Only $350.